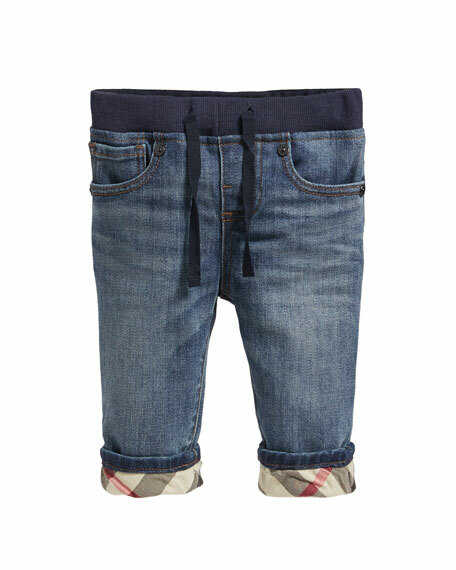 Stretch denim jeans with fading by Burberry. Five-pocket style; logo patch at back. Adjustable tabs for room-to-grow fit. For in-store inquiries, use sku #2395065. 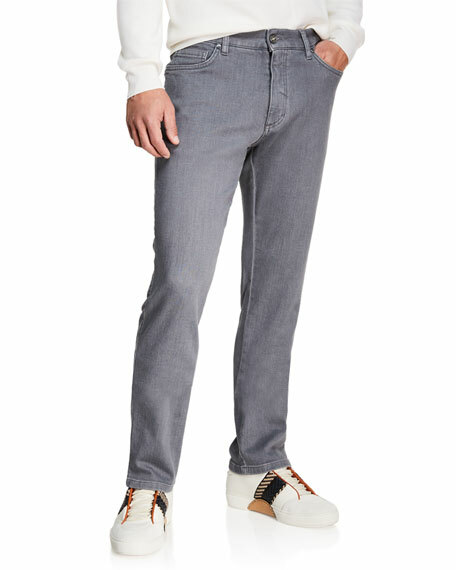 Ermenegildo Zegna jeans in Japanese stretch-denim. Five-pocket style. 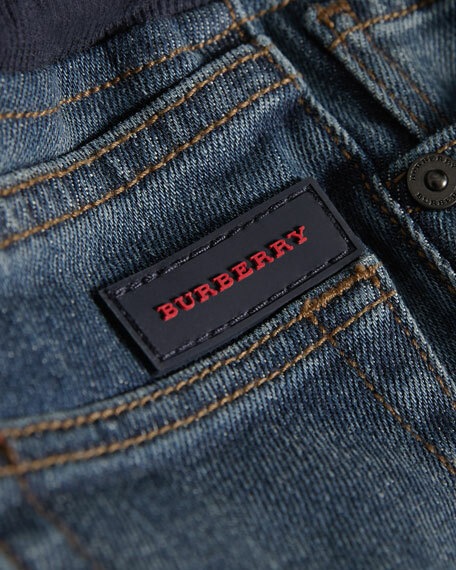 Leather logo patch at back waist. Regular rise. Slim fit; straight legs. Button/zip fly; belt loops. Cotton/spandex. Cotton lining. Calfskin trim. Made in Romania. 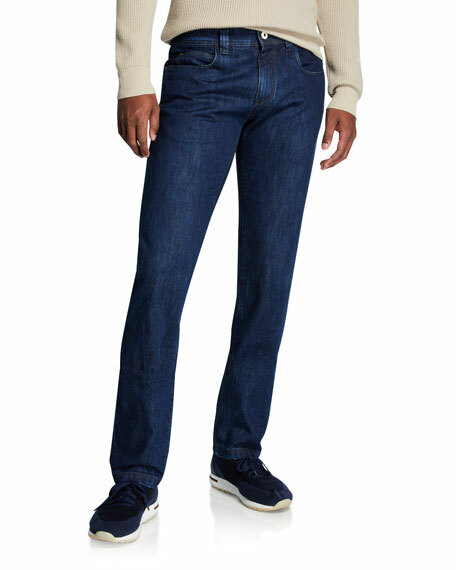 Loro Piana stretch-denim jeans in Medium Blue wash. Approx. 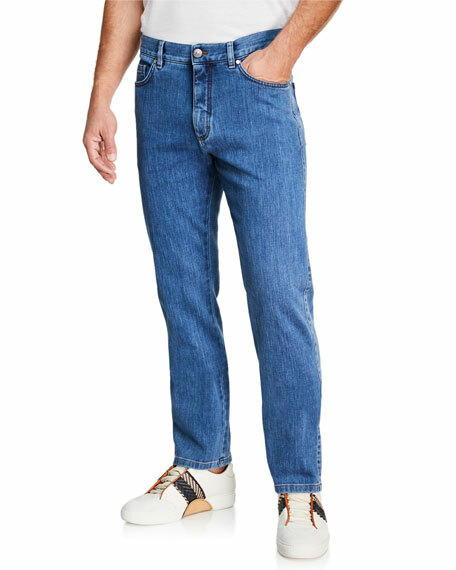 35" inseam; 44" outseam; 36" waist. 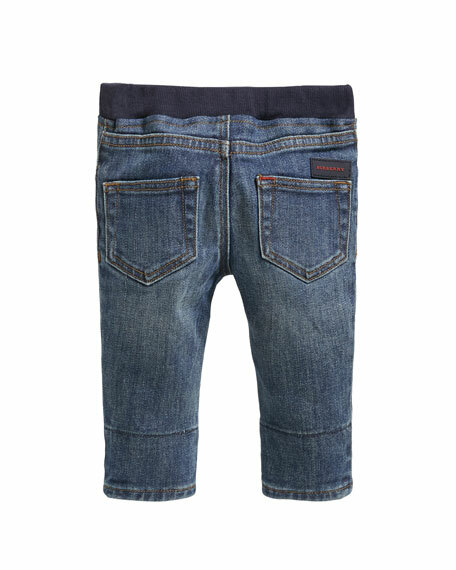 Five-pocket style; clean back pockets. 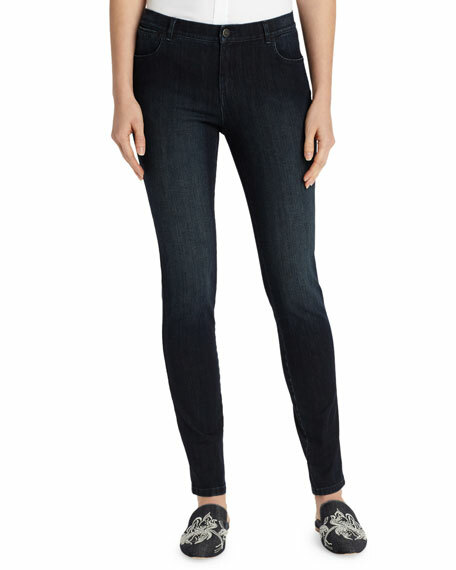 Slim fit through straight legs. Button/zip fly; belt loops. Cotton/spandex. Machine wash. Made in Italy.